Penguin and Laranja Celebrate the Mid-Autumn Festival Together! 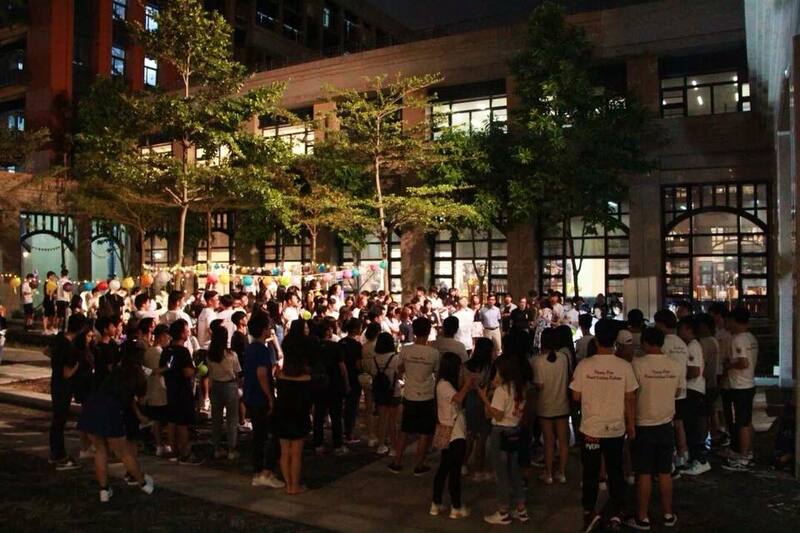 A lot of students from both colleges joined the mid-autumn carnival. 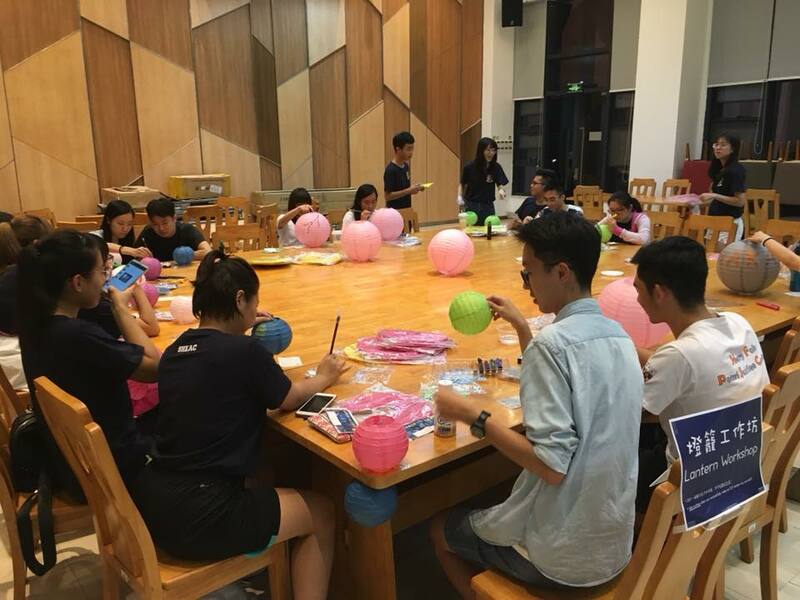 On 20th September, 2018, Stanley Ho East Asia College (SHEAC) and Henry Fok Pearl Jubilee College (HFPJC) jointly held a Mid-Autumn Festival carnival, thanks to the great effort of leaders and helpers of both Colleges’ House Associations. More than 150 students participated in the event. The interactive workshops and games were the highlights of that evening. 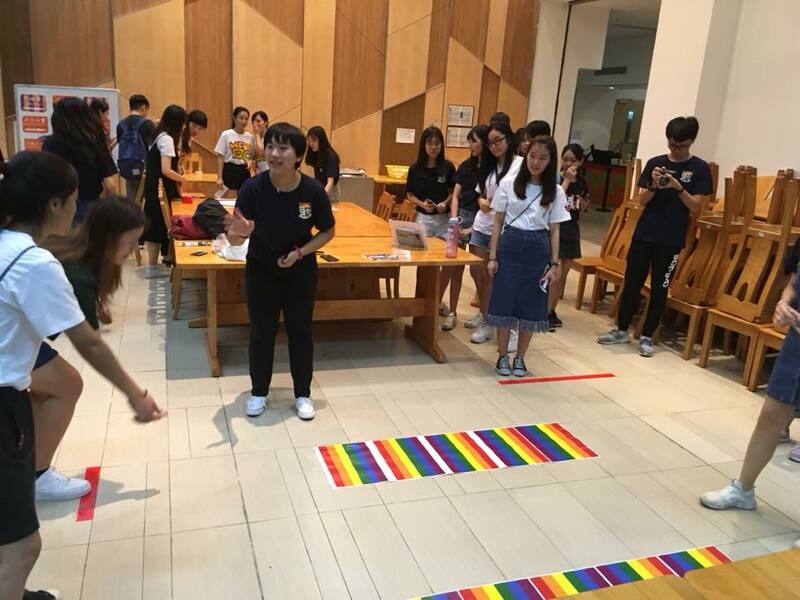 For example, participants threw coins to try to land on the targeted areas in the “rainbow” game, they also tried to drop ping pongs into designated boxes through a pair of pipes in the “rabbit goes to the moon” game. 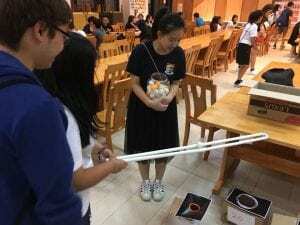 Students meanwhile made mooncakes and lanterns in the carnival. 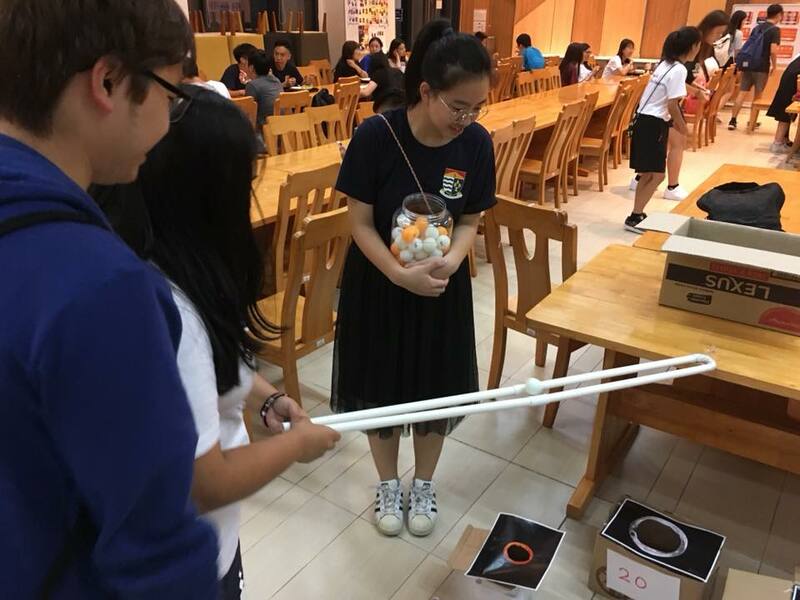 Not only did they have a lot of fun, but also learned some knowledge about the Mid-Autumn Festival. Participants had to spend some effort to win the game. In addition to DIY and game booths, stalls of food and beverages were also set up, such as love-themed mocktails, octopus balls, and cotton candy. Students enjoyed them very much. 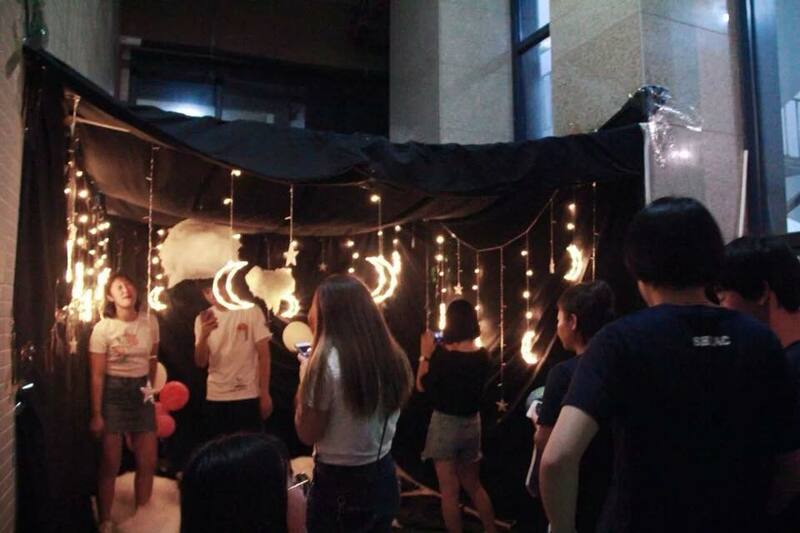 There were also nicely decorated venues for students to take photos. Towards the end of the event, there was a lucky draw. Students who had got five stamps from the games and workshops were eligible to participate in it. Special guests, including SHEAC College Master Professor Iu Vai Pan, Associate Master Dr. Ip Weng Fai, Andy, and Resident Fellow Dr. Chan Wai Kong, and HFPJC College Master Professor Mok Kai Meng, Associate Master Jiang Yi, Vivian, and Resident Fellow Lao Chan Chio, Andrew were invited to draw the winners for this lucky draw. In a vibrant ambience with loads of laughter, the carnival ended on a high note. 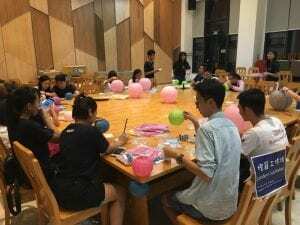 Students carefully painting their own lanterns to celebrate the mid-autumn festival. Students having fun at the game with friends.